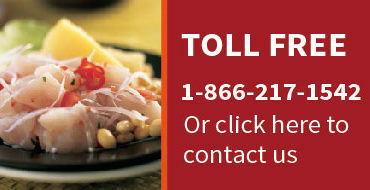 We specialize in creating any culinary program based on your budget and the days available for your trip. Creating unique, creative and personalized culinary programs based on your goals, budget, expectations and schedule is our specialty. All you need to do is to let us know the date you want to start, and we will find the perfect fit for you. We will put together an itinerary and work with you until you get exactly what you are looking for in 24-hours. IMPORTANT: In this website, there are a number of activities and itineraries already prepared that you can browse to get an idea of what we do. Any of those itineraries can be altered and changed to fit your number of days, number of people and your budget. You can also mix and match programs. Please contact us with your special requirements and our Travel Specialists will send you an updated itinerary within 24 hours of your request. Please call us at 703-822-5312, send an email to reservations@taste-of-peru.com or fill out the contact form and we will get back to you by 24 hrs.